Placenta Practice was recently inspected by the Environmental Health and has been approved and certified “for exceeding all requirements for health and safety legislation” as a Placenta Encapsulation Specialist and Placenta Encapsulation Premises. I am so thrilled to be the first Placenta Encapsulation Specialist in the UK to have been officially approved with the Environmental Health Officer commenting that Placenta Practice was “working to a Gold Standard”. This amazing endorsement is added to the Placenta Practice also being the first Placenta Encapsulation specialist to also be a Phlebotomist, trained in the procurement of stems cells and cord blood. 2 – We are fully certified in food hygiene and infection control. 3 – Our service is fast, giving you the best possible benefits from your placenta. All placentas are processed within 24 hours of collection in a sterile, controlled environment within our purpose-built practice. 4 – Placenta Practice is the first UK company to offer placenta encapsulation, stem cell and cord blood collection. Placenta Encapsulation, also known as Placentaphagia in the UK, is no longer seen as unusual and is fast becoming very popular. 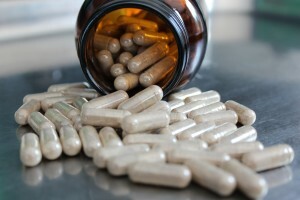 More women are hearing about Placenta Encapsulation and looking into the benefits. Women are looking into having their placenta made into placenta pills is to increase their breast milk production, help in reducing/preventing baby blues and postnatal depression. However there are also other added benefits to taking your placenta pills. Placenta Practice service is highly professional and extremely discreet. Your capsules look like any other health supplement yet contain the your very own oxytocin hormones, vitamin B6, Vitamin E, minerals, iron, stem cells, growth factors, cytokines and corticotrophins, another stress releasing hormone. The University of Jena in Germany are currently studying the hormones, nutrients, iron, lead and mercury found in placenta. We at Placenta Practice have helped with funding of this study to identify how placenta pills help with postnatal recovery. They are looking into how the placenta capsules help with anaemia, depression and lactation difficulties. Having encapsulated many placentas and received such wonderful feedback from clients over the years I truly believe in the positive affect of placenta pills in postpartum recovery. At Placenta Practice we have many clients returning for the second or third time who are going for more remedies than the first time. I think this is a brilliant endorsement of Placenta Encapsulation. Research in this fascinating field of Placenta Encapsulation is ongoing and hopefully this time next year we will know more about the positive effects the placenta pills have on women who decide to have their placenta encapsulated.